Apparently, today is "This Is Home"'s big coming out party. First off, we have the full-blown studio recording of "This Is Home" direct from the allaccess Website. thanks to some person on the JFH boards for finding this! Listen to "This Is Home" in all its full, studio-slick glory here! Switchfoot Nashville, Tenn., April 23, 2008 – The multi-Platinum selling rock band Switchfoot has recorded a new original song, “This Is Home,” for the highly anticipated Walt Disney Studios and Walden Media May 16 theatrical release, The Chronicles of Narnia: Prince Caspian. The song will be featured during the end credits of the film, and will appear on the Original Walt Disney Records Soundtrack CD releasing on May 13. Switchfoot recently taped a companion music video for “This Is Home” in Los Angeles with director Brandon Dickerson who filmed Switchfoot’s most recent video, “Awakening,” from its current, acclaimed studio album, Oh! Gravity.. In conjunction with local market promotions around the film designed to build excitement toward the release of the new “Narnia” movie, EMI CMG Label Group will release “This Is Home” to AC and CHR Christian radio as Red Light Management/Entertainment works the single at mainstream AC and Triple A radio formats. Fans can also see the band debut the song live nationwide tonight (April 23) between 8 – 10 p.m. (ET) on the Gospel Music Channel television network as part of the 39th Annual GMA Dove Awards telecast. With over 5 million records sold, three albums in the Billboard Top 20, two top-five singles at both pop and alternative radio, performances on all the major late night talk shows, a Les Paul Horizon Award, and one of the Top 50 Most Performed Songs of 2005 with “Dare You To Move” (ASCAP), Switchfoot is recognized as one of the hardest touring bands in rock. Currently on its “Up In Arms Tour” that benefits To Write Love On Her Arms, the San Diego-based band has sold over three million concert tickets worldwide since the 2003 release of its double-Platinum breakthrough album The Beautiful Letdown. Oh! Gravity., Switchfoot’s newest studio album, debuted at No. 1 on the iTunes Top Albums chart and has received stellar reviews, with Billboard magazine calling it “the best of the San Diego group’s nearly 10-year recording career.” Spin exclaims this album is “their liveliest record, full of dive-bombing guitar fuzz, juicy arena-alt choruses.” “This is an outstanding record in every sense,” raved Associated Press. 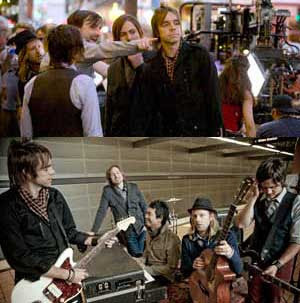 MTV’s “Life of Ryan” tapped the album’s title track for its theme song as the album showcases a harder rock direction for Switchfoot. With an ever-growing fan base, Switchfoot has also been actively involved in a number of humanitarian causes since its inception, including DATA, Bono’s THE ONE Campaign, Invisible Children and Habitat for Humanity. 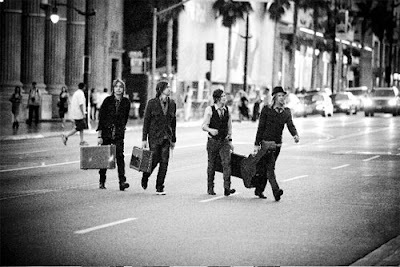 The band further founded the Switchfoot Bro-Am, a surfing and music benefit-event, and the online magazine, lowercase people (www.lowercasepeople.com), a daring new endeavor to revolutionize the way beauty, truth and humanity is viewed. More information about the band can be found at www.switchfoot.com. The four children will soon meet an intriguing new character: Narnia’s rightful heir to the throne, the young Prince Caspian, who has been forced into hiding as his uncle Miraz plots to kill him in order to place his own newborn son on the throne. EMI CMG Label Group is comprised of Sparrow Records, Forefront Records, and Credential Recordings, in addition to providing A&R and marketing support for sixstepsrecords via a joint venture and licensing partnership. Balancing freedom, discipline, creativity, profitability and ministry, EMI CMG Label Group strives for excellence in artist development. For further information, visit www.emicmg.com. Red Light Management is helping push the single to mainstream radio? Interesting. I have heard that management companies are becoming more and more like record labels in their function, which could explain what's happening in this case. Nonetheless, STOKED! The Narnia Insider dispatch provided a video of the guys playing "This Is Home" for the first time back at the Willow Creek Conference. Jon's diatribe is quite... fascinating. Our friend Jeanna, posted it on youtube. P.S. I love how Jon totally dissed Columbia. watch for it! Here's some more press about "This Is Home." Now, we have a rather light-hearted piece about Jerome's initiation into the band. Let's call it... rookie hazing. haha. Enjoy! The way Jerome Fontamillas tells the story, that's more or less what happened when he joined the rock band. Switchfoot, after all, got its name from a surfing term, and every band member rides the waves whenever possible. They even schedule tour stops at groovy surf beaches. Literally, it was either sink or swim. So even though he'd only surfed twice before joining Switchfoot - and poorly, too - Fontamillas is now a surfing regular. "It's practically a requirement to be in the band," he says. "You don't have to be good. But you do have to surf." @drivebymedia, no problem! Thanks for reading!